But how can you possibly know if one of your customers moves, or if they swap email addresses? And what about customers who live in multiple locations, or customers who have passed away? 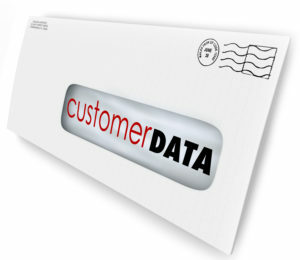 Keeping accurate data ensures deliverability of your direct mailings and email campaigns. It also prevents wasted printing and postage fees, and protects your organization’s integrity and reputation. The right mailing address ensures deliverability of direct mail campaigns, which in turn helps you cut down on mailing and postage costs. Mailing to the right person at the right address also boosts your reputation and increases the likelihood of a sale. What’s more, doing a search by mailing address is a great way to check for duplicates in other data fields. Running your database through the National Change of Address (NCOA), which is a list of people who have updated their address with the USPS in the past 48 months. You will need the assistance of your CRM tool, a printer or an outside data vendor (like Massa) to access NCOA. Comparing your addresses with those of magazine and other publishers. Sometimes people change their address for magazine subscriptions but not for their bills and other mail. Perform an Apartment Append to ensure deliverability to apartments and suites. Many mail carriers will not deliver if the apartment number is not listed, and your expensive piece of marketing gets dumped in the trash without you ever knowing it! Use your NCOA provider to also capture DPV – Delivery Point Validation. A service that checks for “mailable addresses” and the deliverability of each customer address. Checking for seasonal identification of your addresses. The USPS also provides a seasonal address indicator that can tell which houses are vacation homes and which are permanent homes. Did you know that email providers keep track of their customers’ email address changes, and that you can access that information through an Email Change of Address (ECOA)? In many cases this data also lists email addresses by street address, which allows you to cross check and further clean your data. You can also search by bounced email addresses. At Massa & Company, we’re sometimes able to find a person’s new email address based on their bounced email address. This not only ensures deliverability of your email marketing messages; it protects the deliverability of all your email campaigns by decreasing your overall bounce rate. If you do phone calling in your business, you can find out which phone numbers are no longer valid. This helps save hours each week calling non-working numbers and further improves your chances of connecting with customers by phone. If customers have passed away or are in prison, you can cease marketing contact and further reduce your overall campaign expenditures. Deceased and prison suppression lists make this possible. There are many services available to help you keep your email and mailing addresses clean. Use them quarterly or at least one month prior to doing a mailing. You may or may not know that I’m a sucker for a great noodle dish. I recently saw this dish prepared on America’s Test Kitchen (yay PBS!) and now keep the ingredients on hand to make Singapore Noodles at least once a month. The lightness of the rice noodles used in this dish is really nice now and then in contrast to the heavier pastas I usually make. The protein used in this recipe seems to change depending on who’s making it. I’ve seen different versions used on ATK, the Epicurious blog, and other cooking programs. Some feature pork, others shrimp, and all of them are delicious! By staying up-to-date with my favorite cooking shows and blogs, I’ve discovered different versions of the dish instead of being stuck with the same old thing every time. It reminds me of staying up-to-date with data. Just as preparing the exact same recipe over and over again will quickly lose its wow factor, working with stale, outdated data will make it virtually impossible to wow your customers. For the best results, stay fresh with the latest ‘ingredients’ in the form of updated customer addresses, emails, and phone numbers! Here’s an up-to-date version of a great Singapore Noodles recipe that will make your brains fall out! If you’re going to collect data, keep it updated and pay close attention to how that data changes over time. If you don’t, you could end up with tens of thousands of duplicate, incomplete, or incorrect customer records and have to pay through the roof to have your data cleaned up. Once all of your customer data is up-to-date, put some rules in place to keep it clean. The best way to do this is with regular data checks, and by ensuring database knowledge is written down and accessible to multiple employees. Are you struggling to keep your data clean and updated? If you want to know which of your customers have moved or changed emails, Massa & Company can help. We’ll consult all of the above-mentioned services on your behalf to ensure maximum deliverability of every marketing message. To find out more, call (312) 463-1050 or click here now.